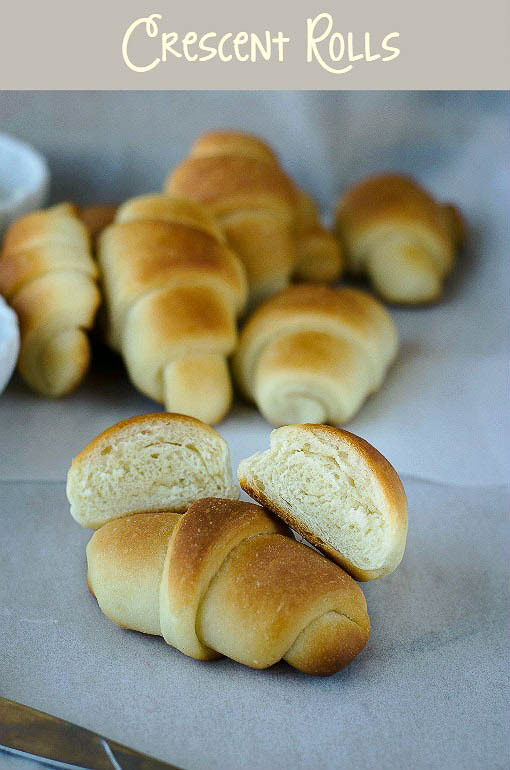 For the second of breads,buns and rolls theme I am sharing you a delicious crescent roll.My family loves the flaky croissants available in the super market.But I was bit hesitate to try the amount of butter used in the recipe and work involved. When I was googling for some rolls,suddenly I remembered a recipe I tired long time back from a library book.But I couldn't find out the hand written note,so searched online and finally landed Cooking Classy. Again I scaled down the measurement and made these rolls.These rolls are dangerously addictive,soft and light.The taste of the rolls were so close the store bought one but it was not flaky.It doesn't need any spread it can be eaten as such,but if you want some jelly or jam can be accompanied. Take all purpose flour, 3 tbs of butter,instant yeast,salt and sugar in a bowl.To this add the lukewarm milk and mix it to a slightly sticky dough. Now on a floured surface knead the dough for at least 5-7 minutes till it becomes smooth. Transfer to the bowl and keep it a warm place to raise for an hour to 90 minutes without getting disturbed.After an hour the dough would be doubled in size and if you make an indent on the dough it stays. Now punch down the dough and divide it into 2 equal portions.On a floured surface roll the dough into a 10-12 inches circle.Spread evenly 1-11/2 tbs of butter on the circle.Cut the circle into four and cut each quarter to 3 wedges using a pizza cutter or knife. Roll each wedge from the broader side as shown in the picture.Keep the tucked side in the bottom and transfer it to a baking tray.Continue for the rest of the wedges and arrange it on a backing tray.If you are using nutella keep a tsp of it on the broader side and roll it the same way. Cover the baking tray with a cling wrap and keep it in a warm place for another hour to let it raise. Before 10 minutes of the second raise pre heat the oven at 375 F and brush the rolls with milk or egg.Bake it for 15-20 minutes in the preheated oven (mine too exactly 19 minutes).Once its done brush it with butter and remove it.Cool it on a cooling rack. Serve it with warm with a spread or butter. The dough should be slightly stick,don't add too much of flour while kneading. 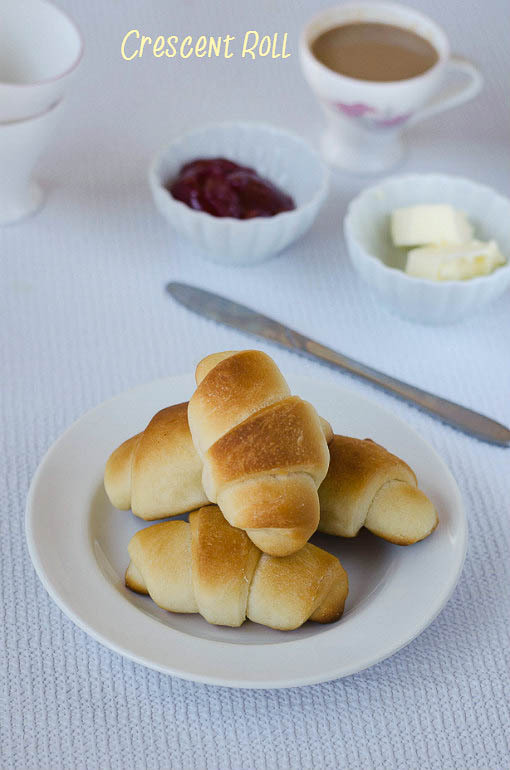 The rolls taste better when it is served warm,just microwave it for 5 seconds and serve. . The sweetness was just perfect if you want it a bit sweeter version then add another tbs of sugar. If you are using salted butter then no need to add the salt. These look nice..soft and fluffy. Oh..wrong things to look at midnight :-))). They trigger off the hunger pangs!!! Fluffy, soft, pillow rolls!!! kids will go ga-ga over that nutella ones!!!! oh the nutella inside will a surprise treat!!! 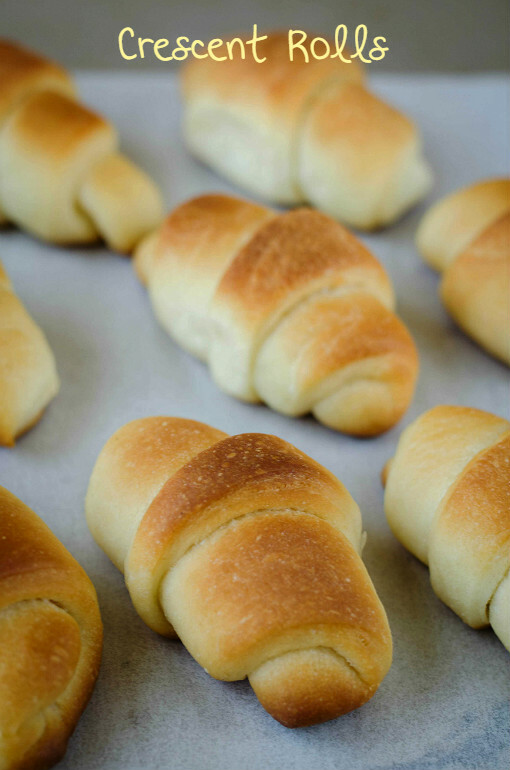 texture of the rolls are absolutely stunning..
Who wouldn't love soft, flaky crescent rolls? Love that Nutella surprise inside. Pillowy and very softy crescent rolls, i can have a couple of them rite now. They look so cute like tiny little rolls. Must have tasted great hot out of the oven. The rolls look soft and well baked, adding Nutella is a treat:) and I would definitely enjoy a couple of these rolls. Nutella nutella everywhere!! Love the cute looking crescent rolls!! 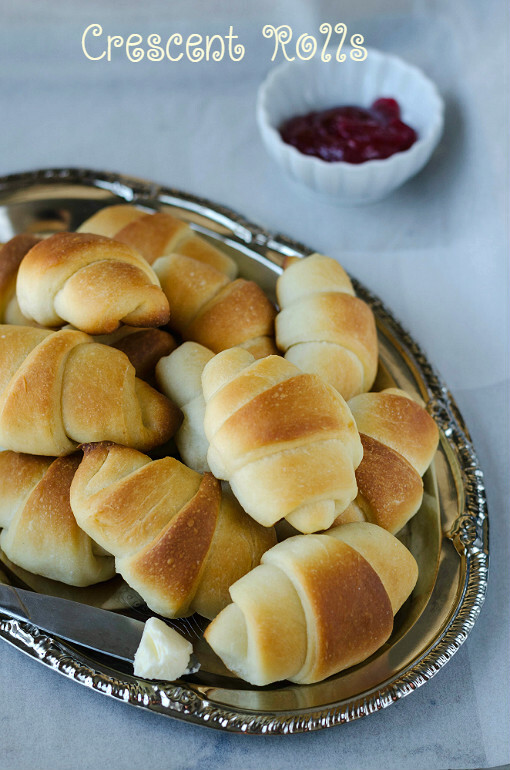 Love the perfectly rolled crescent rolls! 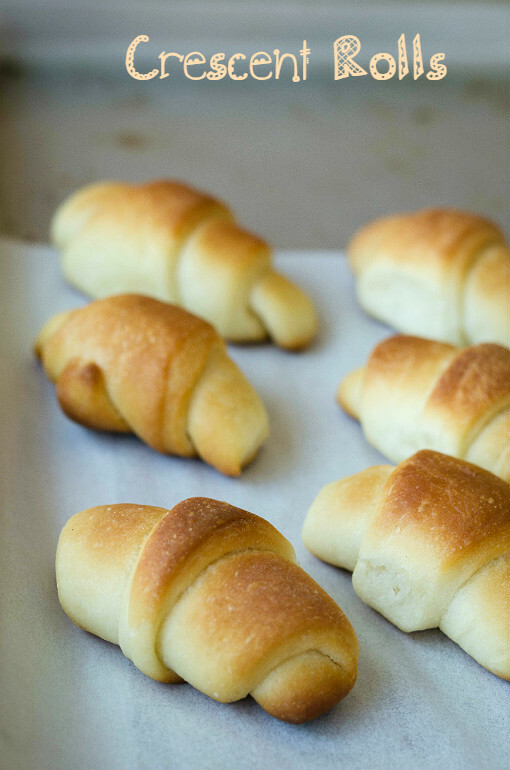 The crescent rolls so prefect!..I too have bookmarked it from the same place..very nicely baked.. 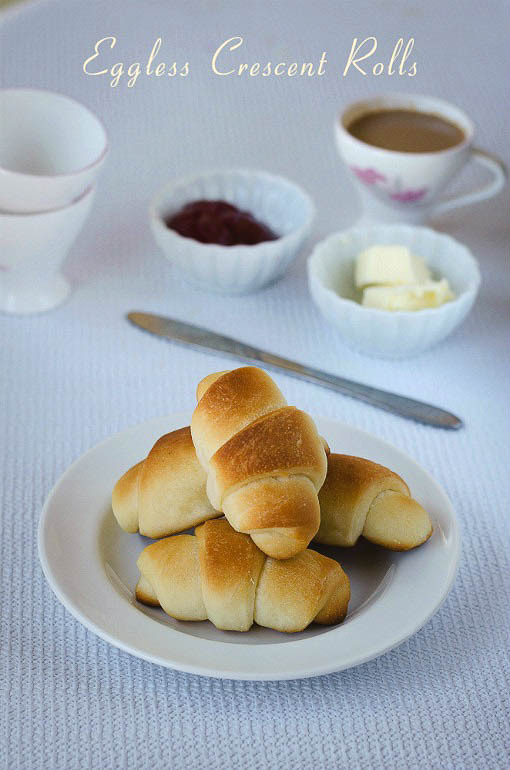 Perfectly baked soft rolls!! And little surprise with nutella makes it more attractive among kids!! The rolls look so soft and perfectly baked!! Even I don't like those flaky once what we get in stores these are perfect and that nutella stuffed once are my fav. yumm. 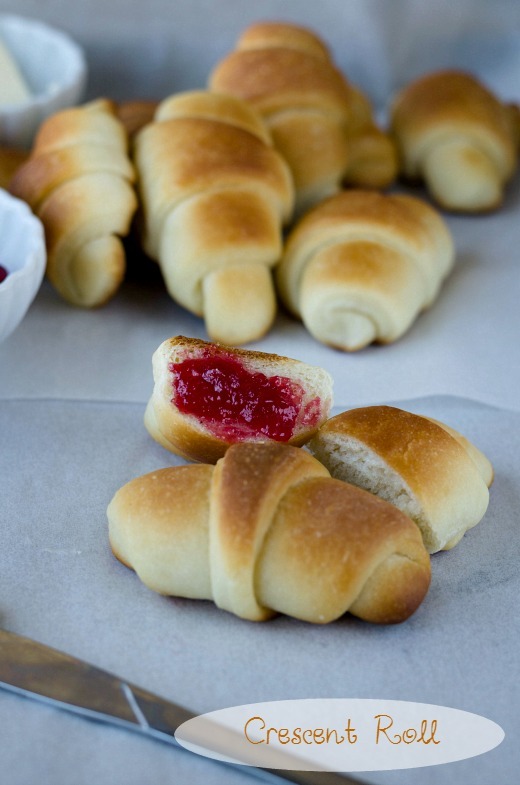 They look so soft and my daughter also would love that nutella stuffed rolls..
Awesomely soft and delicious rolls. 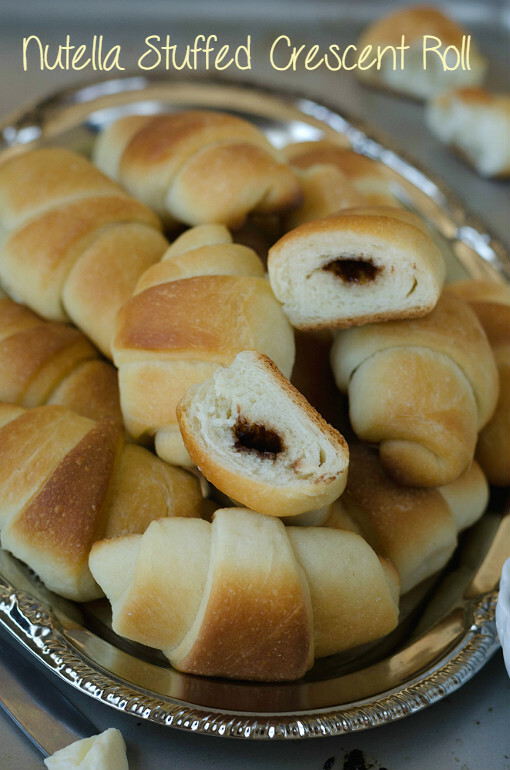 My kids will also love the nutella stuffed rolls.